Look for King Buffet’s coupons in today’s newspaper. You do not have to drive far to find authentic and delicious tasting Chinese cuisine in Apopka. King Buffet Chinese Restaurant’s convenient location and affordable prices make their restaurant a natural choice for dine-in or take-out meals in the Apopka community. King Buffet Chinese Restaurant’s spread gives you access to an ample coverage of delicious dishes from all the brilliant Asian cuisines. With so many options from which to choose, you are sure to find something you really enjoy. Whether your preference for Asian foods leans toward Mandarin, Cantonese, Hunan, Szechuan or Japanese sushi, your palate will be satisfied. Traditional restaurants’ plated meals are served in standard portions, with no consideration for the different appetites of the guests. At King Buffet Chinese Restaurant, guests can take what they feel like eating, in the amounts that are right for them. King Buffet Chinese Restaurant is easier on your wallet than traditional sit down restaurants because dishes can be made in bulk and don’t have to be separately plated and presented, eliminating the cost of extra serving staff. 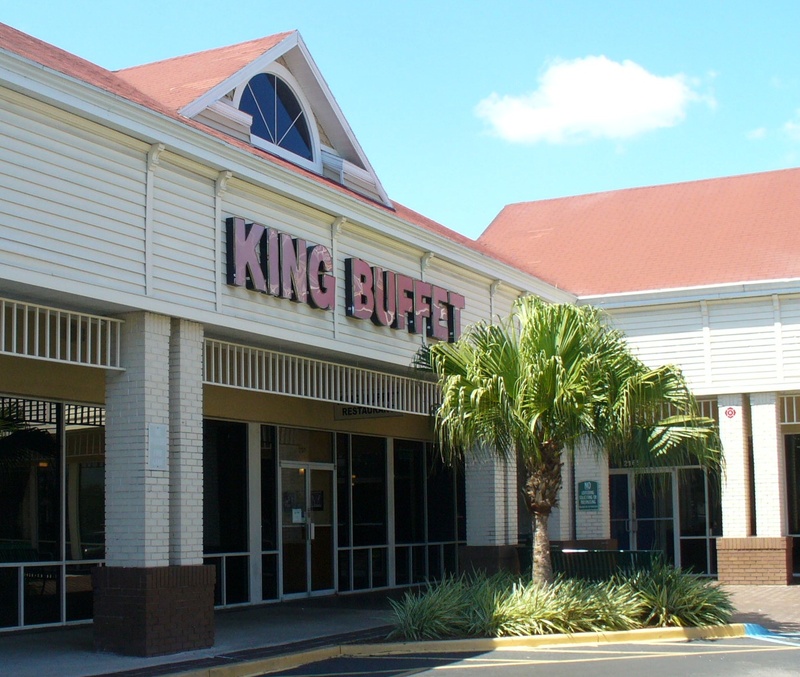 King Buffet Chinese Restaurant is a cornerstone in the Apopka community and, since 2005, has been recognized for its outstanding Chinese cuisine, excellent service, and friendly staff. Having been in the area for over a decade, they’ve become a well-known and popular Chinese buffet in Central Florida. As a way of saying “thank you” to their customers, King Buffet Chinese Restaurant is offering the lunch buffet for only $5.99 per adult and the regular dinner buffet (without snow crab legs) for only $7.99 with the coupons found in The Apopka Chief and The Planter newspapers. Lunch is served Monday through Saturday, from 11 a.m. to 3:30 p.m., and dinner is served Monday through Thursday, from 4-10 p.m., Friday and Saturday, from 4-10:30 p.m., and all day long on Sunday. A ten percent discount for senior citizens is also available. King Buffet Chinese Restaurant offers a bottomless supply of appetizers, soups, salads, entrees, fried rice, lo mein, mei fun, seafood, meat, pasta, sushi, fruit, ice cream, dessert, and much more. King Buffet Chinese Restaurant has something for everyone! For seafood lovers, try their variety of shrimp, oysters, mussels, scallops, salmon, crabmeat, fish, clams, crawfish, and snow crab legs. If you are a meat lover, try their variety of chicken, steak, pork, and kabobs. If you are in the mood for sushi, their delicate sushi bar contains all of your favorites, professionally prepared with only the freshest ingredients. Kids will also love King Buffet Chinese Restaurant. Some of the children’s favorites include sweet and sour chicken, countless flavors of wings, fries, pizza, fried dumplings, sausage rings, sugar donuts, and ice cream with a carousel of colorful and exciting toppings. Vegetarians can also enjoy King Buffet Chinese Restaurant by trying their assorted succulent garden vegetables cooked to perfection. There are many vegetarian dishes available as well. If you are in a hurry or would rather enjoy your meal at home, take-out orders are also available. The buffet food can be boxed and purchased by the pound or you can choose from their a la carte menu. King Buffet Chinese Restaurant is conveniently located in the Wekiva Riverwalk Plaza at 2157 E. Semoran Boulevard in Apopka. Their phone number is 407-814-9116.